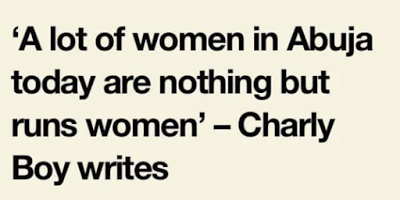 Charly Boy made this claim via social media. In his words: "Pussyfication. About 89% of dem. Some dey carry invoice, receipt book, some Na pay as you go, some go send you bills or account details. I lie? ashawo full abuja, Biko."